PA chairman says reconciliation between Fatah and Hamas must lead to a single authority with one law and one army. 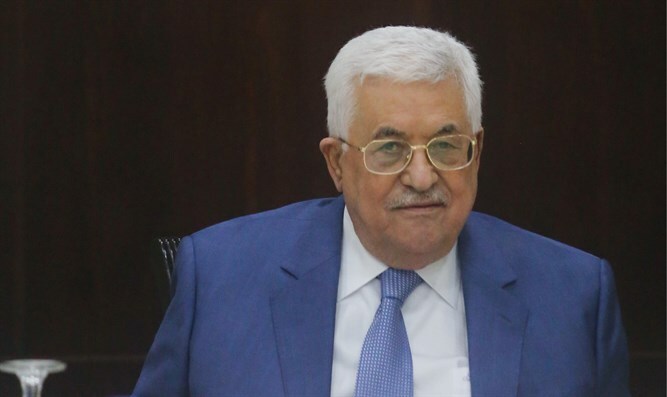 Palestinian Authority (PA) chairman Mahmoud Abbas has stressed that the reconciliation between his Fatah movement and Hamas must lead to a single authority with one law and one army. Abbas made the remarks in a recent joint interview with Chinese media representatives, including the Xinhua news agency which published his comments on Tuesday. "There must be one authority, one law and one gun, and there shouldn't be militias or others ... we want to be like other countries in the world," Abbas said, referring to the agreement signed on October 12 between Fatah and Hamas after 10 years of internal fighting. Under the reconciliation agreement signed between Fatah and Hamas, the PA is to resume full control of Hamas-controlled Gaza by December 1. In his remarks, Abbas said that any state that wants to provide aid to the Palestinians should go through the PA. He stressed that the PA leadership "doesn't want to turn the Gaza Strip into the militia model, because it is not successful." The Palestinians do not to want to have "anyone intervening in our internal affairs because we don't interfere in others' affairs," he added, according to Xinhua. On the Egypt-brokered reconciliation deal, Abbas said its implementation is "moving forward" in order to end the decade-long internal division has hurt the Palestinian cause so much. The agreement is "very important" as it includes all the details related to the reconciliation, and "we are going forward towards the implementation," he said. "The Palestinian position is clear and solid that there will be no Palestinian state in Gaza only and there will be no Palestinian state without Gaza," Abbas stressed. The PA chairman pledged to do his best to accomplish the goals of the reconciliation, which he said is fully supported by major countries such as China and Russia, as well as European and Arab countries. "All want to see reconciliation is accomplished and we will do our best to accomplish it," he was quoted by Xinhua as having said. So far, Hamas appears to view things differently than Abbas. On Tuesday, Hamas's leader in Gaza, Yahya Sinwar, declared that the weapons held by the Al-Qassam Brigades, Hamas's “military wing”, will continue to serve as the spearhead in the struggle for the liberation of Palestine. Hamas officials have previously claimed that Abbas's representatives never demanded that Hamas and other terrorist groups disarm as part of the reconciliation agreement. Israel has also demanded that Hamas disarm, renounce terrorism and cut its ties with Iran. Hamas last week blatantly ignored those demands, sending a high-ranking delegation to Tehran.